I had been making healthy lifestyle adjustments for a couple of years before I was really able to give sugar the boot! Sugar was the hardest thing for me to stop consuming in my new healthy lifestyle. I already knew that it was making me tired and triggered my migraines, but for some reason, I couldn’t stop craving it! It was so frustrating. Can you relate? Then I learned that it wasn’t my fault. Packaged foods are chemically engineered to make us continue to crave them! And because scientists know that humans are drawn to sugar, they’re sneaking it into more packaged food items than you’d think! We know there is sugar in cakes, cookies, and ice cream. But did you know sugar is also in salad dressings, sauces, and yogurt? I wrote a post here where I listed the top 10 places that sugar is hiding. As a side note: did you catch how I mentioned that scientists are making our packaged foods? That’s something I found really disturbing! It’s not chefs making these food items, but scientists and engineers! Before I get to how to kick your sugar habit, it’s important for you to know how much sugar is recommended for your maximum daily intake. The RDA (recommended daily amount) of added sugar is 11g for kids (lower that number for younger kids and increase that number for older kids), 25g for women, and 34g for men. Ok…now let’s get to the part where we kick sugar out! 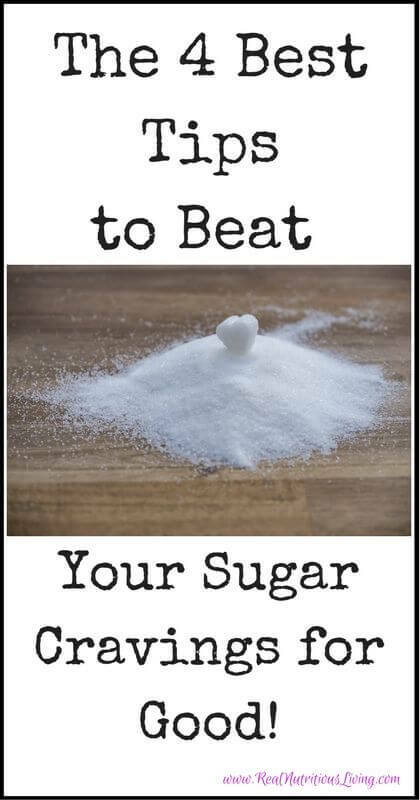 The #1 piece of knowledge that really helped me quit sugar was knowing how much harm it was doing to my body. So, I’d like to share how sugar is harming your health. The negative effects of sugar are endless! Sugar can now be linked to EVERY disease. While I’m supplying you with one source/study for the topics below, I want to point out that there are tons of studies out there from all over the world showing how sugar is killing us. The proof continues to stack up against sugar! The following list should give you plenty of motivation to kick sugar to the curb! > Tell yourself that you can never have sugar again. When you tell yourself “I can’t have sugar,” you want it even more! Instead, tell yourself that you don’t want it. You now know how harmful it is to you and you don’t want poor health, which means you don’t want sugar. > Feel deprived when you choose to pass it up. Instead, give yourself a pat on the back! You have the power, sugar doesn’t. > Hang out at places or with people who trigger your want for sugar. We all have that one restaurant that we just ‘have to’ get dessert from. Or we have that one friend who wants to share dessert every time we meet for a meal. In the early stages of quitting sugar, you’ll want to avoid these places and people. > I realize it’s impossible to never again have sugar, so don’t beat yourself up when you do have sugar. Make a deal with yourself that it will be ok to have a treat every once in a while. If you start to see your sugar habit getting out of control again, stop yourself. The good thing is that now you know what to do to stop that cycle! 1. Find the root cause of your sugar craving. Sugar cravings may come from emotional needs that aren’t met. Do you want a hug or to have a meaningful conversation with someone, but aren’t able to? That can cause you to seek comfort from food. It may be that you have an imbalance in your gut bacteria. Fermented foods, probiotics and quitting sugar will help balance it out again. The easiest way to find out what the root cause is is to journal. Journal how you physically and mentally feel before and after you eat. You will probably start to see a pattern develop in your emotions around eating and how your body is reacting to your food choices (ie bloating, mood swings, fatigue). 3. Eat healthy fats to keep you feeling full longer and keep your blood sugar stable. Good fats are essential to good health! Every single cell in your body needs fat to function properly. Your brain is 60% fat. Vitamins A, D, E and K need fat in order for our body to use those vitamins. We all have fat cells, and if we’re not filling them with healthy fats, they’re probably full of toxins. Restricting your fat intake may be one reason why you crave sugar. When you crave a specific type of food – that is your body’s way of telling you are lacking in necessary nutrients. We usually temporarily relieve that craving with junk food because it’s yummy and easy to get. Examples of healthy fats include: organic coconut oil, avocados or avocado oil, nuts and nut butters, butter from grass-fed cows, and olive oil. Be aware that most of the supplements available today are made from chemicals and synthetic ingredients that harm your health more than they help. One tip to know you’re getting a good quality supplement is to make sure it is made from organic food. You can do this by checking the ingredients on the label. This is one of my favorite supplement lines and this organic greens shake doubles as a supplement and a healthy snack. 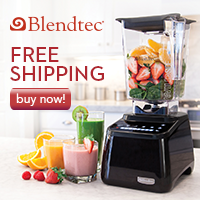 It provides 97% of your recommended daily intake of fruit and vegetables and is the equivalent of eating 6 superfood salads! As with the fiber supplement mentioned above, you can enter code HippieDippieMom for $50 off your first order. Organic Dark Chocolate. Dark chocolate can actually be beneficial to your health in small amounts. The higher the percentage of cocoa in the dark chocolate, the better it is for you. I like this one or this one. Lily’s Chocolate contains NO sugar! It’s sweetened with stevia but tastes like the sugar-filled chocolate we’re used to. I use their chocolate chips to bake with or the chocolate bar to take a bite from. Monk Fruit Sweetener is what I use in place of sugar in baking, in my coffee, or anywhere else I might use sugar. It’s a 1:1 sub for sugar, has no gross aftertaste, isn’t made from chemicals like some artificial sweeteners, and is low glycemic. It comes in powdered, granular, and brown. Follow Bri’s ‘Healthy-ish Treats’ boards on Pinterest. I still love to bake and have my occasional sweet treats too. I pin recipes that have better quality ingredients than conventional treats. About Bri. Bri is a Certified Integrative Nutrition Health Coach, Registered Nurse, blogger and founder of HippieDippieMom. Bri is passionate about helping others eliminate common toxins from their personal environment so that they’re able to reach their wellness goals. More information about eliminating toxins from your personal environment can be found at HippieDippieMom.com. Bri would love it if you joined her private Facebook Group here, followed her on Instagram here, or Pinterest here. Great tips! It’s crazy how many products have sneaky sugar in them! Such great tips! Eating more healthy fats has been the most helpful in cutting out my sugar habit. I really like your perspective of saying “don’t want it” instead of can’t have it. That’s really helpful! I stopped eating cane sugar about 2 years ago now and I don’t miss it. Although there are some foods that I do miss that have it, so I just have to come up with ways to make them on my own. #3 and #4 have been very helpful for me. I feel so much better off sugar – and even with “real food” treats, its taken me a bit to come off the holidays! Thanks for the tips! Great advice that really gets to the core of sugar cravings. Addressing it as a whole and finding that root is so important, because no matter what dietary changes you make, if you only look at the surface – they tend to come back! 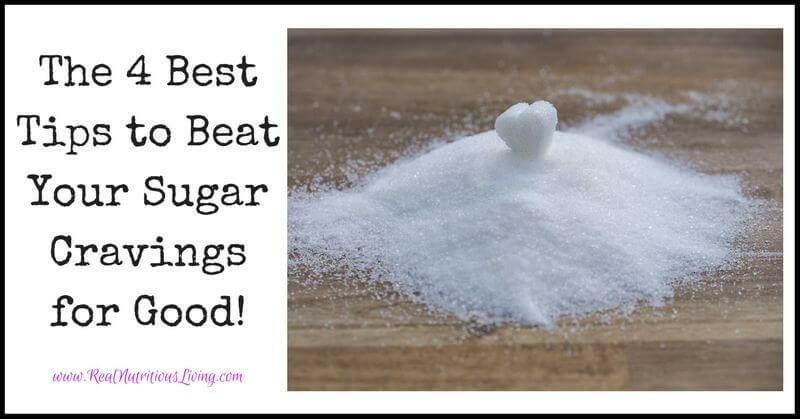 What awesome ways to beat sugar cravings! Sharing! This is just perfect timing, as I’m still trying to avoid sugar since over doing it a bit at Christmas. The healthier I eat, the more just a tiny bit of sugar seems to set off the cravings. Great advice, thank you! Good tips! Sugar is such a difficult addiction to overcome! It is! They say it’s more addictive than cocaine! That’s amazing! Yeah, I would never do a sugar detox, but it’s not good to have the white stuff either! Such great tips here! I would love to further reduce my sugar intake! Thank you for these wonderful tips. I appreciate it ! You’re so very welcome ChihYu! Thanks for following along! Love Lily’s!! For me keto has been the best thing to smash sugar cravings, as well as not abusing sugar free sweeteners, but those little squares of dark chocolate hit the spot! I am hearing great things about keto! Fantastic tips! I wish I could eat Lily’s but the combo of their sugar alcohols makes me sick. Serious sad face. Yes ma’am! And no one is perfect! Thank goodness for healthier upgraded treats!